Is a manufacturer's license required to acquire and mix binary targets? 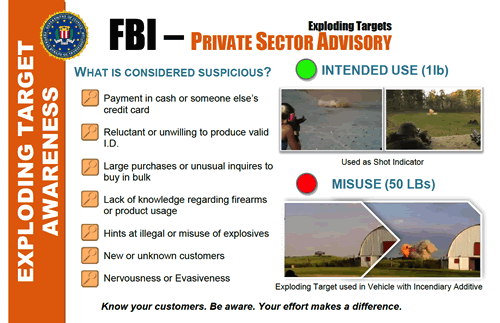 If the individual purchasing the binary targets is engaged in the business of manufacturing explosives, i.e., mixes and uses them in the operation of a commercial business (for example, operating a quarry, or providing the service of removing stumps or boulders from a farm field), then a manufacturer's license is required. An individual farmer who merely wishes to mix the binary targets to remove obstacles from his field and provides no other outside would not need a manufacturer's license. 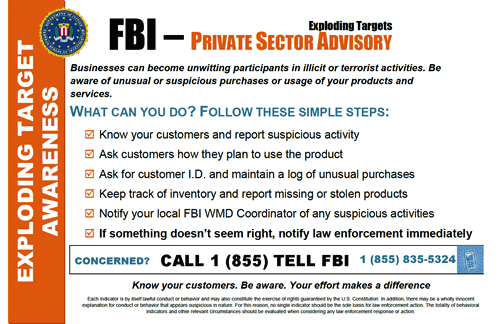 Please note, however; A Federal explosives license or permit would be required to obtain any explosives device, such as detonators, used to initiate the mixed binary targets. 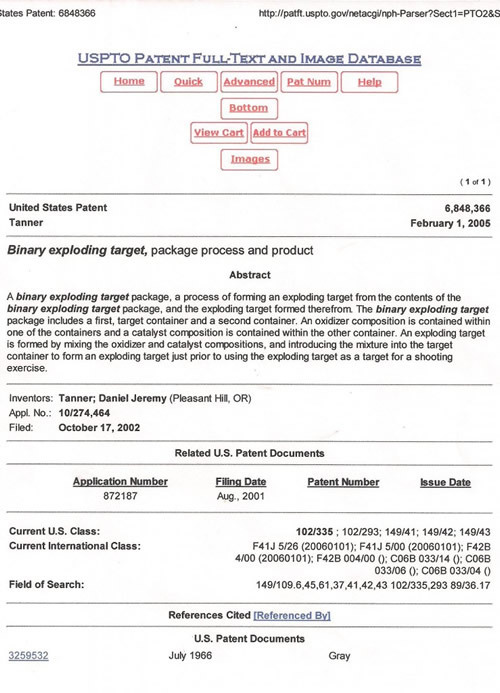 In addition, transportation of any explosive material, including mixed binary targets, without a Federal license or permit is prohibited. Note: A person who combines binary targets for non-commercial purposes is exempt from licensing requirements under Federal law. When mixed and used correctly, Tannerite® brand targets should not initiate a fire. However, because of other reactive targets made with inferior raw materials that have been reported to start fires, the USFS has declared that all reactive rifle targets are forbidden on federal land when a Special Fire Order is in place. This normally happens in the Summer when the roads are posted with large orange signs stating that chainsaw use/campfires/etc are forbidden, although some dry parts of the Country have these Special Orders throughout the year. Please respect local land-use regulations. 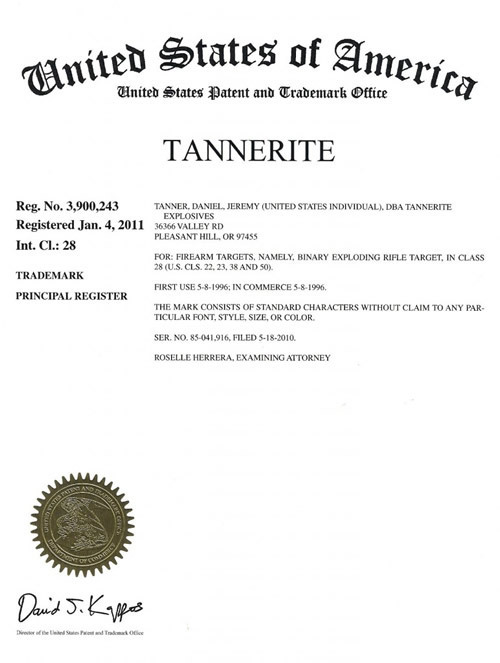 *Check and follow all state, county, and/or local laws and regulations for any applicable permit or license requirements, or other potential restrictions and conditions in your area, for possession and use of Tannerite® brand targets in unmixed and mixed forms. DO NOT ATTEMPT TO TAKE ON A PLANE IN EITHER MIXED OR UNMIXED FORM!